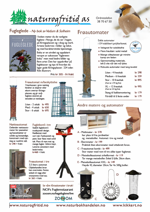 Birding the Islands a Birwatchers’ Guide to Lofoten and Vesterålen is a practical tour guide for birders visiting Lofoten and Vesterålen, written by ornithologist, photographer and nature guide John Stenersen in Henningsvær. Birding the Islands har relasjoner til. The book is richly illustrated with John Stenersen's excellent photographs.